I recently had a chance to try out the BAD-MRO lightweight optic mount for the Trijicon Miniature Rifle Optic (MRO), an absolute co-witness mount, and I was very impressed with its machining, quality look and feel typical of the products made by the premier firearms design and manufacturer, Battle Arms Development, Inc. 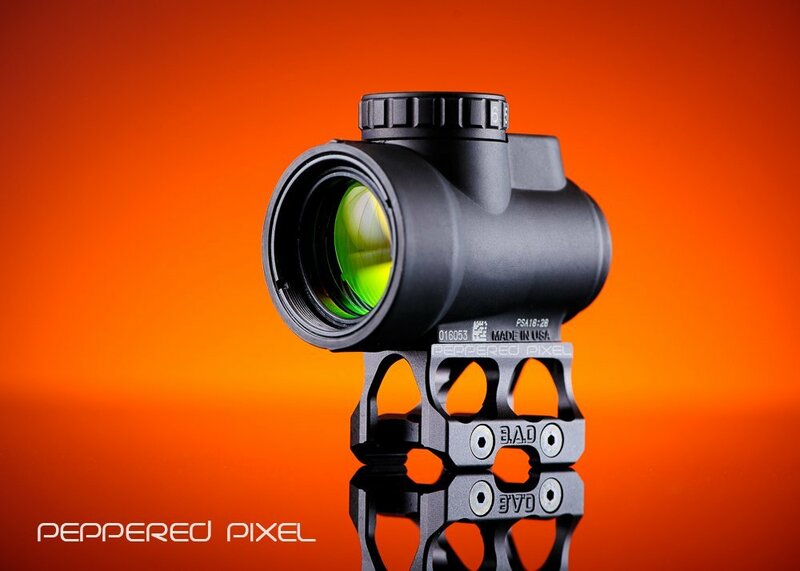 The BAD-MRO is one of the lightest available mounts for the MRO, weighing only 0.78 ounces including two cross bolts. In comparison comparable mounts from SLR Rifleworks and AXTS Weapons are 1.2 ounces and 2.05 ounces respectively. But don’t let its weight fool you, the BAD-MRO is precision machined from solid billet 7075-T6 Aluminum. Its single-piece design allows it to be lightweight and rigid and the same time. Its hard coat black anodizing is smooth, clean, and beautiful for the shrewd and very discerning eye. One of the notable features about the mount is the ease of installation. There’s no need to remove the rear sight to install it. The end-user may simple rock the mount over the Picatinny rail and it will snap into place. Alternatively, if you feel less daring or avoid scratching your precious Cerakote, you may slide the mount over the rail after removing the rear sight. To learn more about the BAD-MRO, visit www.battlearmsdevelopment.com. The 1/3 co-witness version will be released later this year.